Worcester Boiler and Heating Spare Parts "fast nationwide delivery"
Genuine Worcester boiler spare parts direct to your door, nextday delivery on 98% of Worcester spare parts available to get your Worcester boiler repaired quickly. Worcester boiler parts has long been established as a independent supplier of genuine Worcester boiler spares & heating components. As such, we have built up a well-respected name, within the boiler repair and maintenance sectors, Worcester Spares.com the uk`s leading supplier of Worcester boiler spare parts for Worcester Boilers, where the Trade buys, fast nationwide delivery of Worcester Spare Parts on popular models such as the Worcester CDI, SI, Junior, Greenstar, Highflow models, Combi Boiler, Conedensing Boiler, Heating System Boiler. Here at Worcester Spares.com we have a wide range of Worcester boiler spares and heating spare parts available. Browse our large Worcester Spares catalogue online. We stock authentic Worcester boiler heating spares at trade prices. All our Worcester boiler replacement parts come with a genuine manufactures warranty giving you peace of mind we will not compromise your safety with low quality and unsafe copy parts. Worcester boiler parts, only supply spares that are to the safety and performance specification of your Worcester heating appliance, giving you the confidence that you're buying GENUINE Worcester boiler spare parts for the maintenance and repair of your Worcester Heating Boiler. Worcester Boiler Parts has been worked on for many years, to get the right Worcester boiler spares to you the first time. Worcesterspares.com supply spares for the complete Worcester Range of Boilers. Worcester Greenstar System boilers are a good option for small to medium sized properties. They have compact dimensions which means that they can be installed in a variety of places. The hot water in the storage cylinder is kept permanently topped up and, once exhausted, is replenished. The Greenstar System boilers are used with heating systems that include stored hot water in a cylinder. The Greenstar Regular boilers are the smallest of our condensing boilers - they can even be installed within a standard kitchen cabinet. The Regular boilers are available in 4 different outputs which means that there’s one to suit small, medium and larger properties. The Worcester Greenstar Ri Regular boilers are used with a heating system that includes stored hot water in a cylinder. Worcester Bosch is a market leader in high efficiency, condensing boiler technology and all of our products are designed to deliver heating and hot water comfort. The Worcester Greenstar range of gas-fired condensing boilers can help reduce your fuel bills and your carbon footprint. We are also leading the way in environmentally friendly heating and hot water production through our commitment to developing innovative renewable energy solutions. Worcester Bosch simplicity by design, energy efficient by nature, reliability comes as standard. Worcester Bosch Built for life. Worcester Boiler Spares.co.uk supplying heating boiler spares for Worcester Bosch combi boilers, regular boilers, system boiler ranges. A recent survey undertaken shows Worcester Bosch to be one of the market leaders in the heating industry and is fast becoming the UK's leading recognised brand. Genuine Worcester boiler spares direct to your door from the largest internet heating spare parts stockist. When replacing any part on Worcester appliances, use only genuine Worcester boiler spare parts for your Worcester boiler repair, that you can be assured conform to the safety and performance specification that the boiler manufacturer recommends. For your safety & your families, please do not use reconditioned or copy parts that have not been clearly authorised by the boiler manufacturer. For next day delivery on instock Worcester boiler parts, orders need to be placed before 3pm no Later, orders we receive over the weeked period will be proccesed Monday except on bank hoildays. if you require Worcester parts delivered to your works address please rememeber to include the works name. The Home of Discounted heating spare parts, Gas Boiler Spare Parts & Worcester Bosch oil Combi Spares we cover 99% of Worcester boilers. 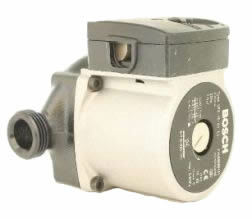 Worcester Spares and boiler Parts, Bosch combi spares & Worcester Spares.com Largest independent supplier of genuine Worcester bosch parts in the uk, where the trade buy Worcester spare parts for Worcester Combi Boilers, Worcester System Boilers and Worcester Regular Boilers.